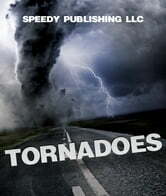 When children look at a book about tornadoes, they can see all of the destruction that is done by the force of nature. They can think of ways to create the weather systems in bottles or in a kitchen sink to see exactly how the weather phenomenon occurs. Children can also look at how the tornadoes are rated on the Fujita scale based on the wind speeds and the damage that is done to homes, trees and other structures after the storm.